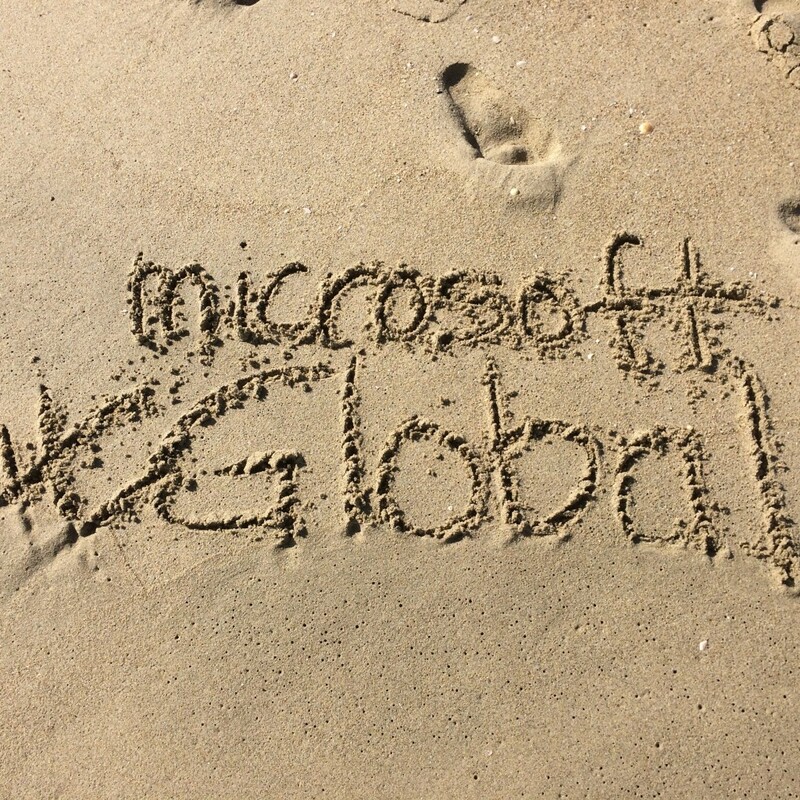 Last week I had the amazing opportunity to attend the Microsoft in Education Global Forum held in Barcelona, Spain. The forum is a professional development event that gathers together educators and school leaders from around the world sharing how we link everyday subjects like reading, science and math with technology to make learning fun, engaging and memorable. In other words, I went to school for a week. The school it just happened to be in a really wonderful city, far, far away from here. 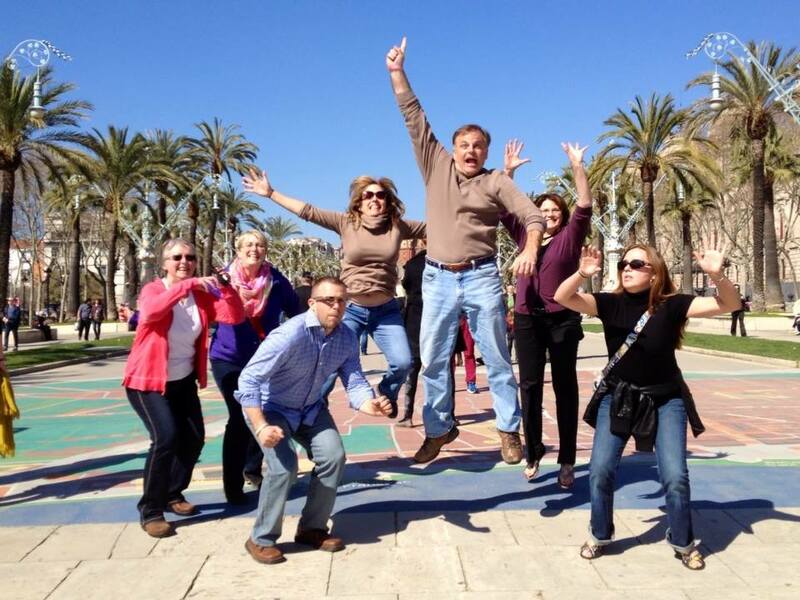 I flew into Barcelona before the forum began to do some sightseeing with some of the other teachers from Team USA. 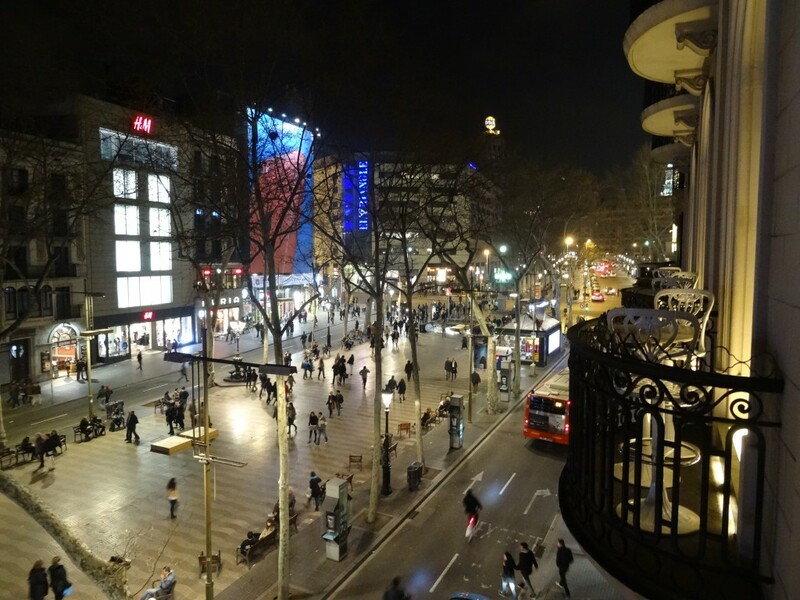 We stayed at a hotel along a street called Las Ramblas. This street is really a long pedestrian walkway lined with people day and night. 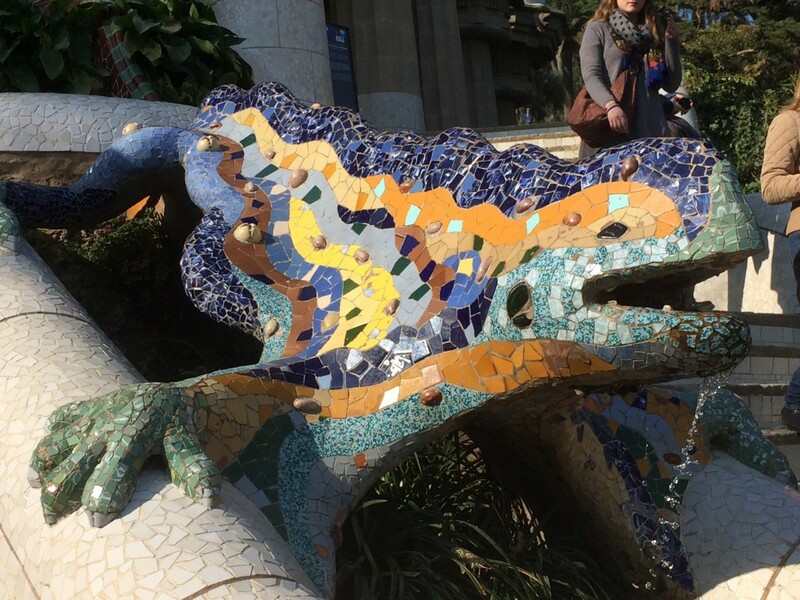 The first place we visited was Park Guell (Catalans pronounce it “gway”) and saw Barcelona’s famous dragon and colorful tilework by the artist Antoni Gaudi. The next day a group of teachers spent the day sightseeing. 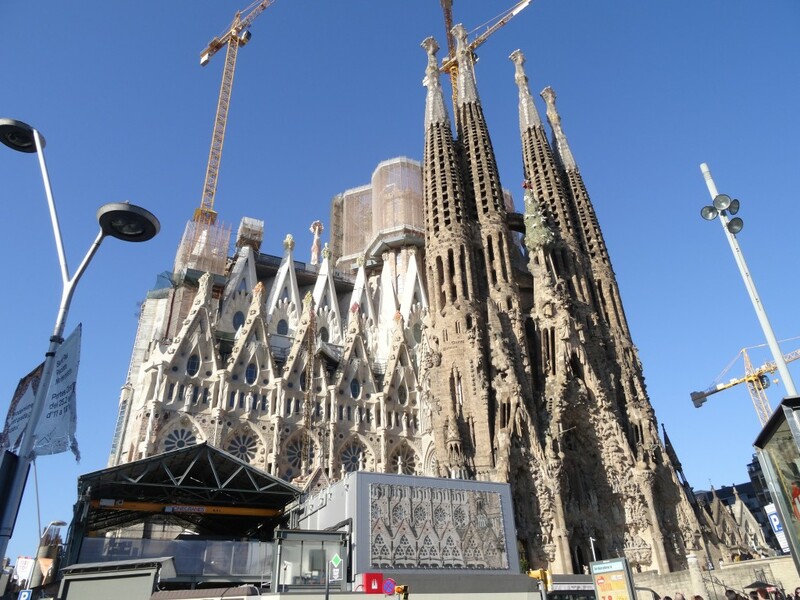 We first visited Sagrada Familia (Holy Family Church) which is a large, modern style church that began in 1883, and is still under construction. 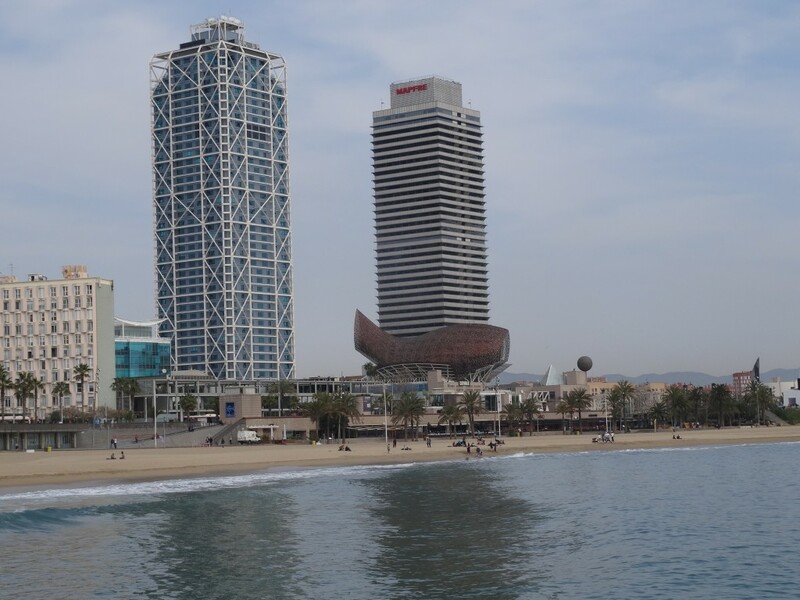 It’s a very modern, colorful structure, designed by the same person who did the tile work at Park Guell. 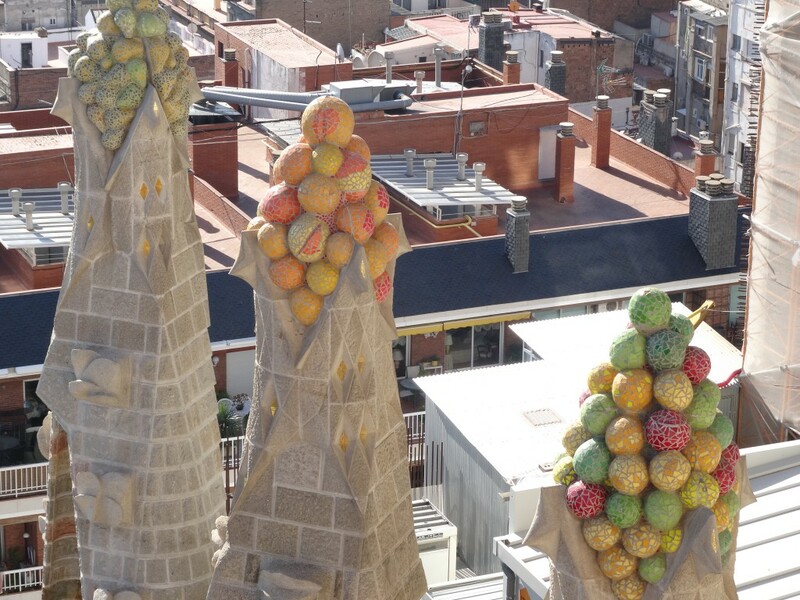 At the top of many of the towers are colorful spheres that look a lot like candy, yet they are all made with tiles. I’ve never seen anything like these tower toppers! 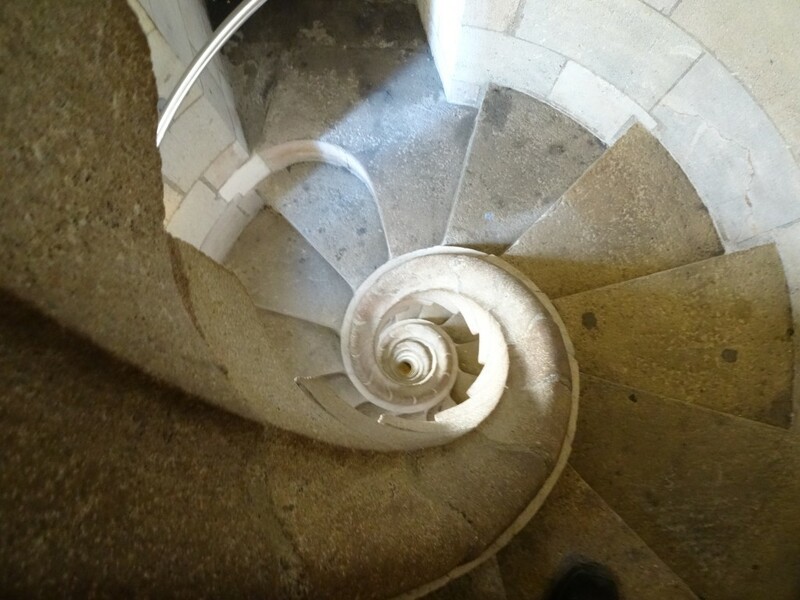 To get to the top of the towers, you take an elevator, but you must walk down the spiral staircase. You can’t got too fast, or you get dizzy! After we saw the cathedral, we walked to the Arc de Triomphe, which is a smaller version of a similar structure in Paris, France. 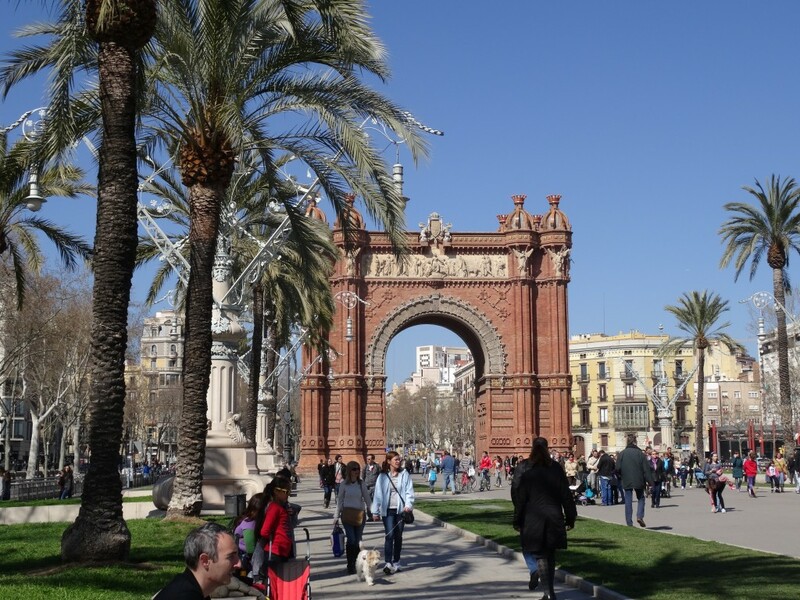 There is a large walk area where street performers entertain the tourists, venders sell balloons, and teachers can get a little crazy. 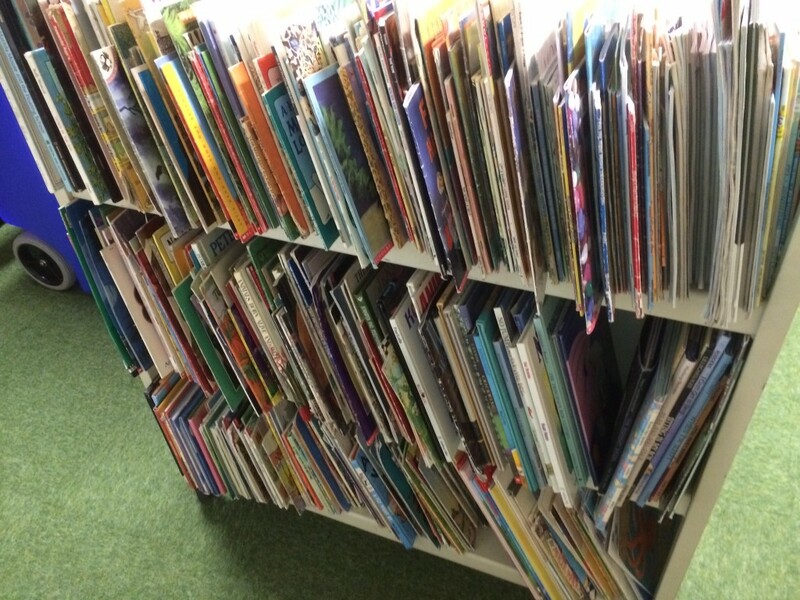 I also had the chance to visit a bookstore in the mall. 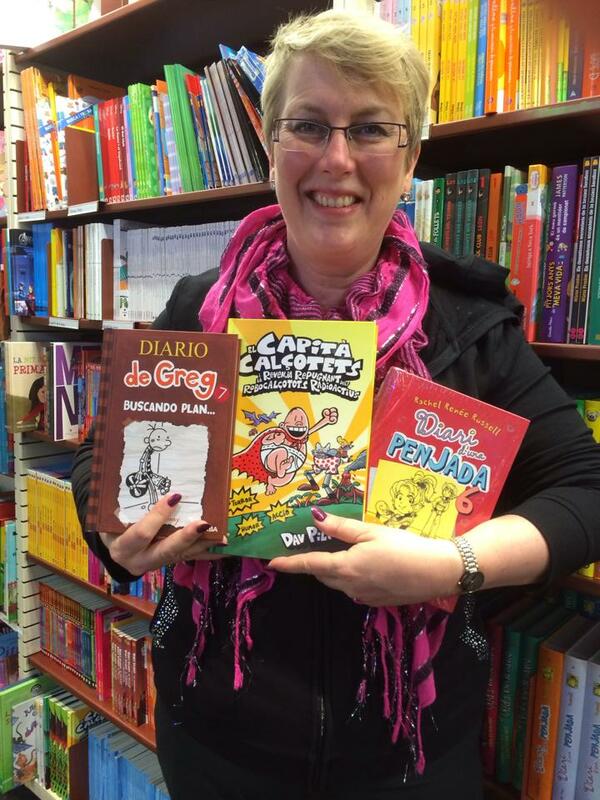 I loved seeing Dork Diaries, Captain Underpants and Diary of a Wimpy Kid in Spanish. I came home with some books too. 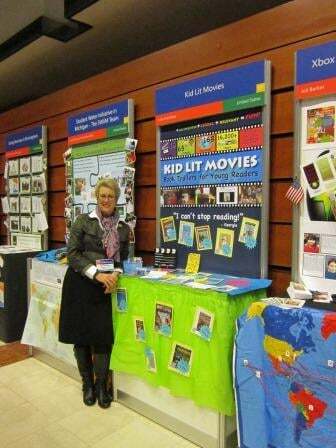 Stop by the library to see what I brought home for you to read. On Tuesday, the conference began. The organizers welcomed everyone and then it was time for the teachers to set up the teacher booths. Each teacher had a booth to use for showcasing their work. We hung posters and decorated our spaces so people who walked by could get a quick idea of each project. Our booths were arranged in alphabetical order by country. 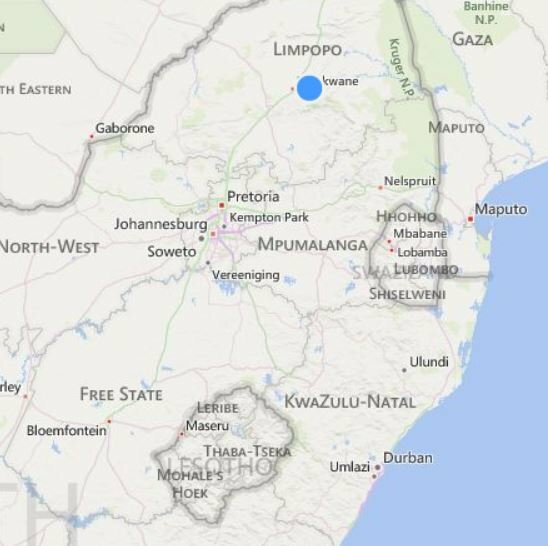 When you look at the top, you can see the name of the project and then the country of origin. 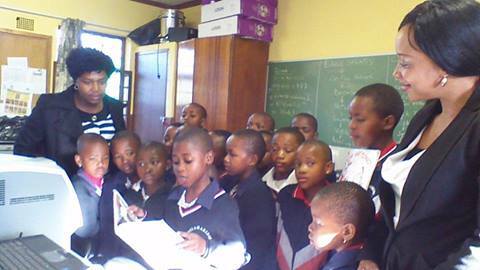 We also were evaluated by a judge who met with us individually. Each project was given two judging times over the course of two days. A judge would come to your booth for 15 minutes and we had to present our “digital story” and then answer any questions the judge had. One of my judges was from India, and the other one was from France. 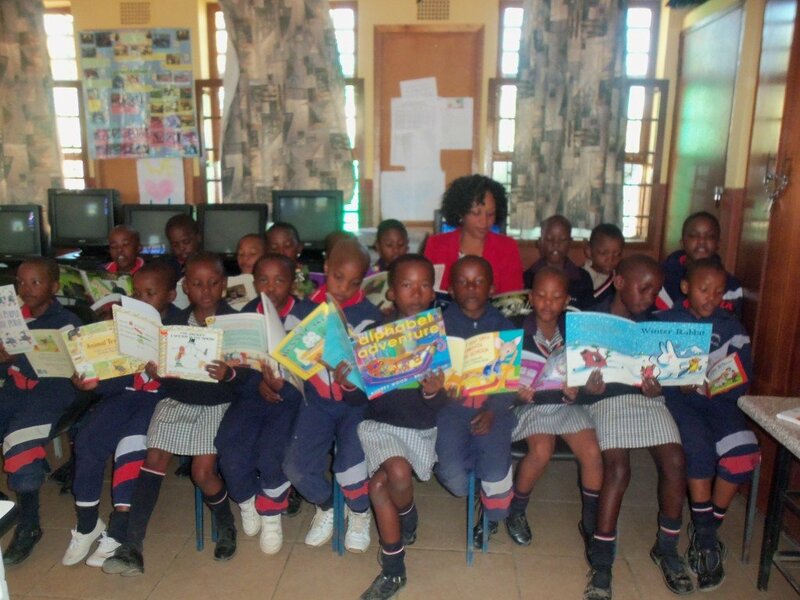 I gave them the thank you cards the Books to Africa group made for them. 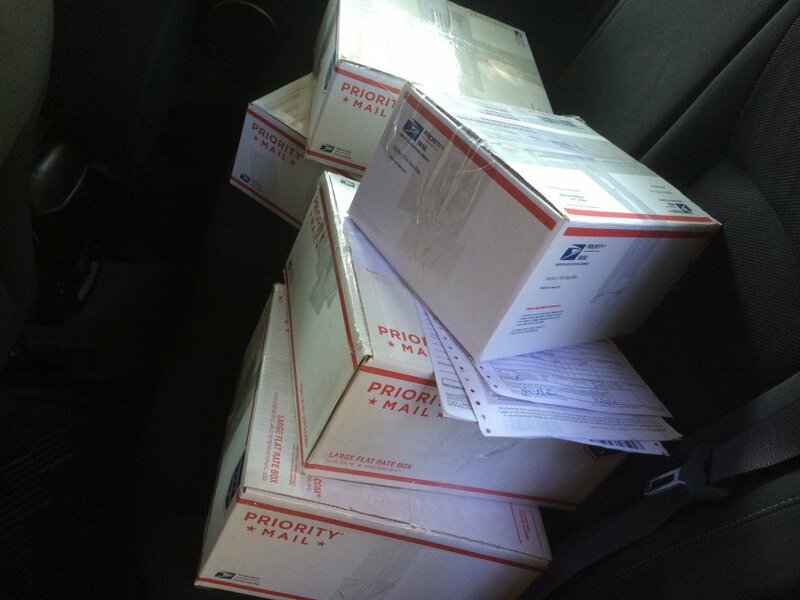 It was a very busy time. When we weren’t being judged, most of us tried to go visit other booths to connect with other teachers and hear about different ideas. 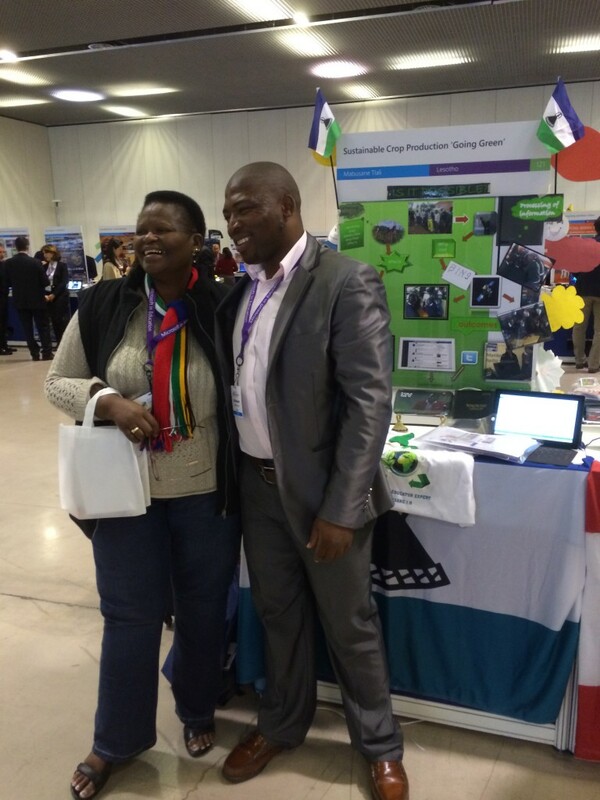 I met another teacher from South Africa who would like to be part of our Books to Africa project and a friend of Mr. Malakane in Lesotho, who is one of our partner teachers. When we weren’t being judged, we were listening to presentations or in classes about technology. 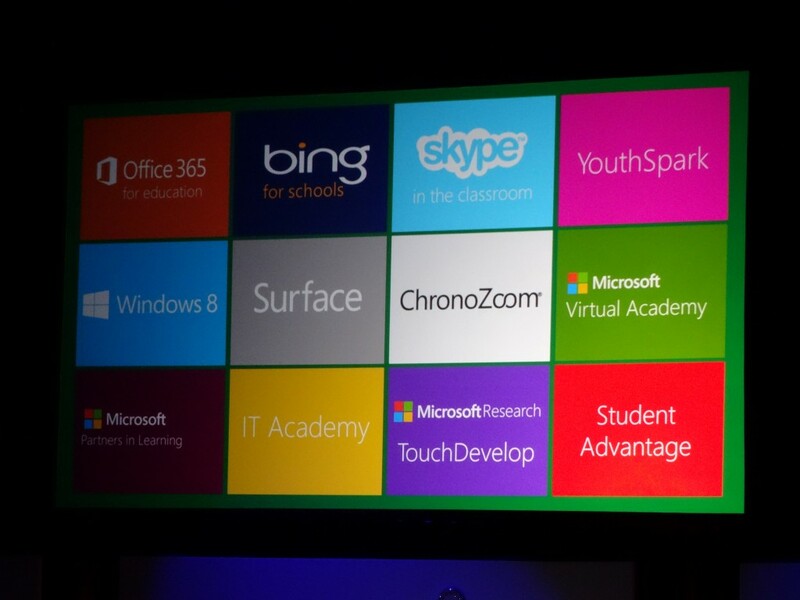 Everyone had received a Surface RT, so it was fun the learn about some of the great apps we can use with it. We had a welcome reception that evening. Each country wore something to indicate their team. It was a lot like going to the opening ceremony of the Olympics. Some people had team jackets, others had hats, or scarves. We all had our special name tags that we had to wear everywhere we went. Team USA had red, white and blue shirts with USA across the front and our name on the back. In addition to the project judging was a learn-a-thon. 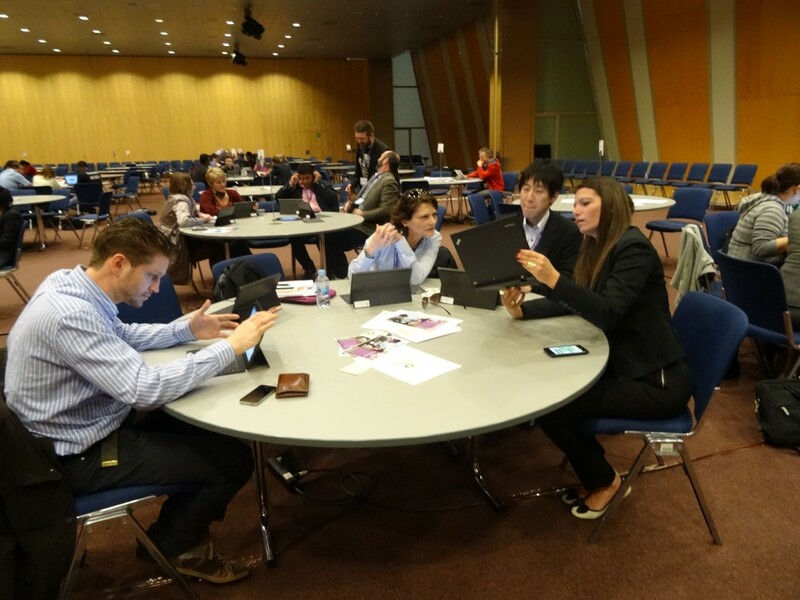 Teams of teachers had about eight hours to create a student project using technology to solve a real-world problem . I was partnered with teachers from Belgium, Israel and Japan. We created a project called Trees Please, drawing attention to the problem of deforestation in China because 11 million acres of trees are cut down each year to make disposable wooden chopsticks. In the photo below you can see us hard at work. The next morning we took turns presenting our project to a panel of judges, including a student judge from the United Kingdom. After that we had some free time for sightseeing. Mrs. Arnett, my teacher friend in Colorado, and I went to the beach and picked up seaglass and shells to bring home to our students. 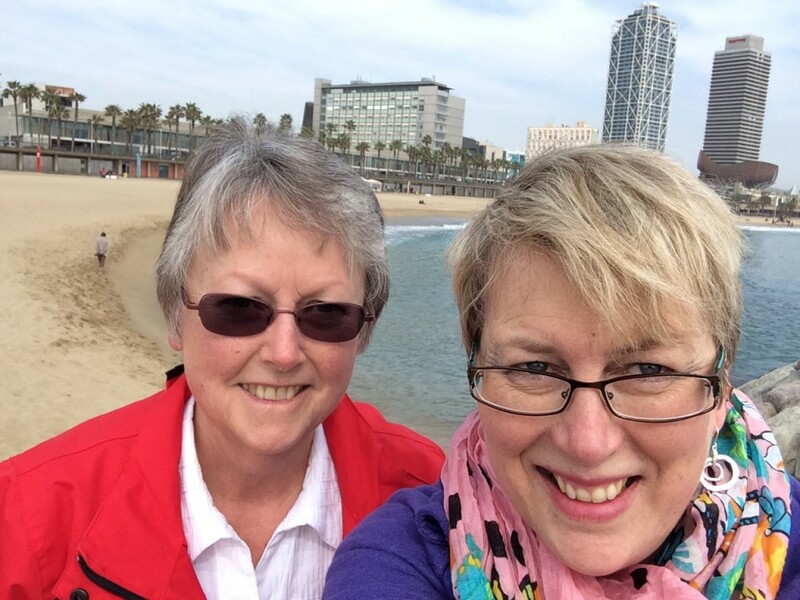 The Barcelona beaches are beautiful! The closing keynote, or assembly, had many inspirational speakers, including Felipe de Borbón y Grecia, Prince of Asturias. Many of the teachers in Team USA, including me, sat right behind him. There is no question – we had some great seats! 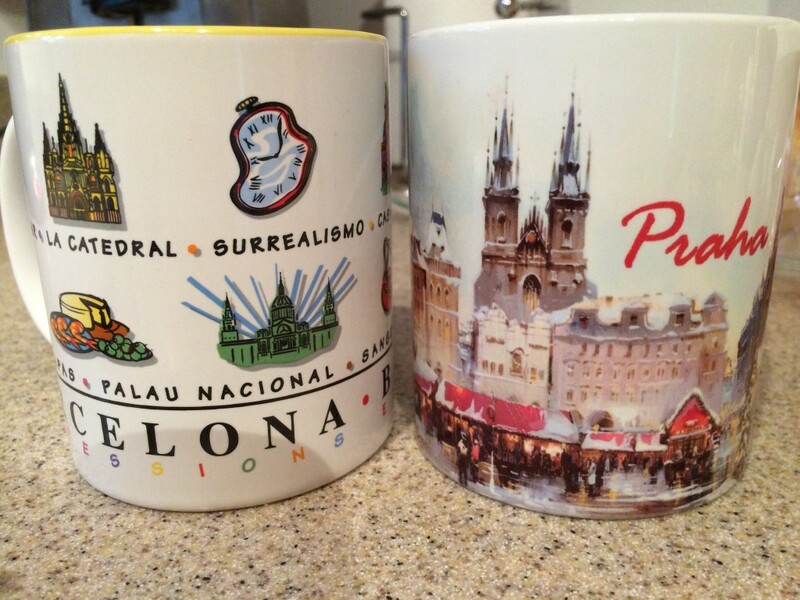 Whenever I travel I like to bring something back that reminds me of my experience. This time I returned with some sea glass, some shells, a few souvenirs and a signed copy of The Dot. Whenever I could, I asked fellow teachers in Barcelona to sign my copy. I wish I had everyone’s signature, but I just wasn’t possible. 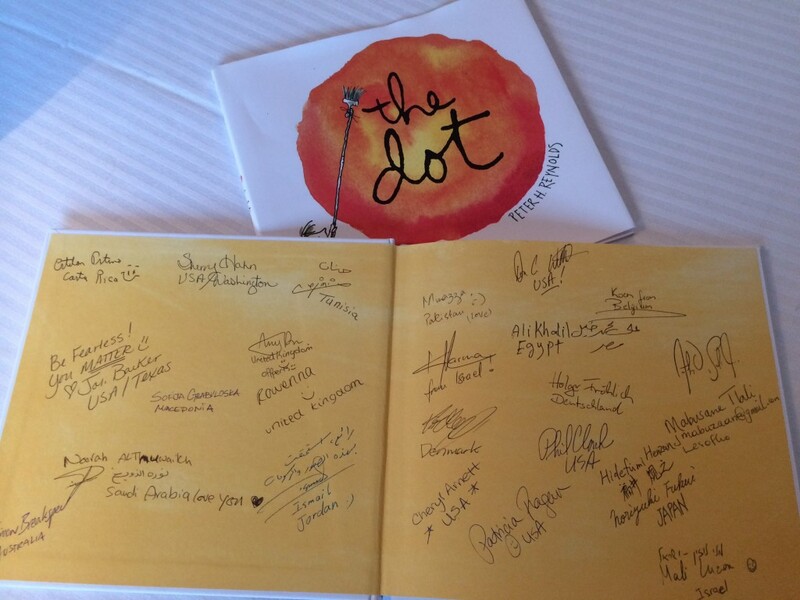 The message of The Dot is to make a mark and see where it takes you. 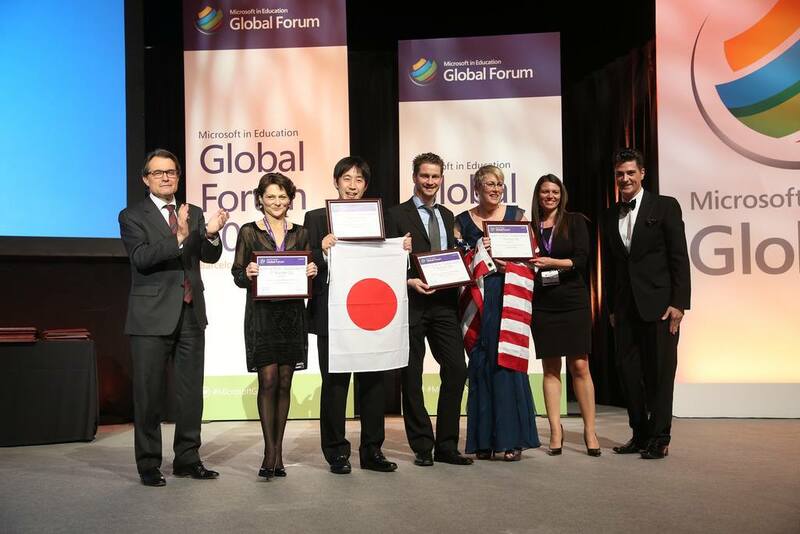 The highlight of the last day of the Global Forum was a reception and dinner in the convention center, followed by an awards ceremony. I have never been to the Olympics, but I think this event closely matched what it must be like at the awards ceremony. As teachers from different nations proudly wore their flags and came to the stage for their awards, the rest of the room clapped and screamed in support. When they announced our team was the 1st runner up for the sustainability learn-a-thon, I was completely in shock. Someone wrapped the American flag around my shoulders and I headed down to the stage to accept the award with my team-mates. It was a moment I will never forget. 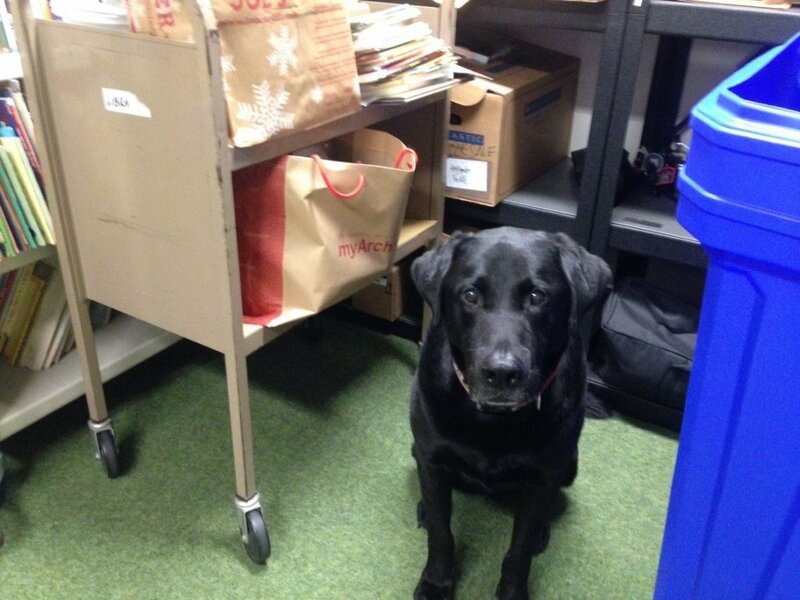 Each of us is now looking forward to putting our project into action. 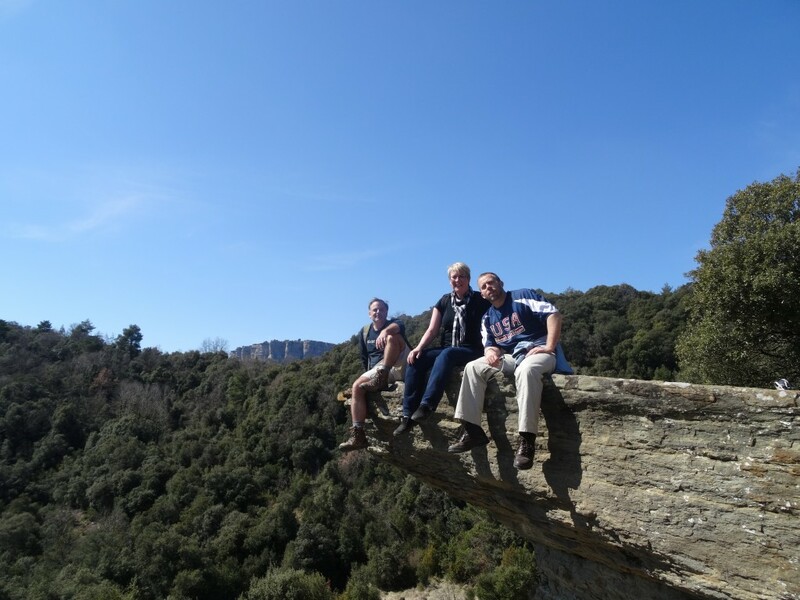 The day after the forum ended, I got up early and went on a tour to a medieval village in the Pyrannes Mountains with Mr. Bergman and Mr. Wettrick, two other teachers from Team USA. 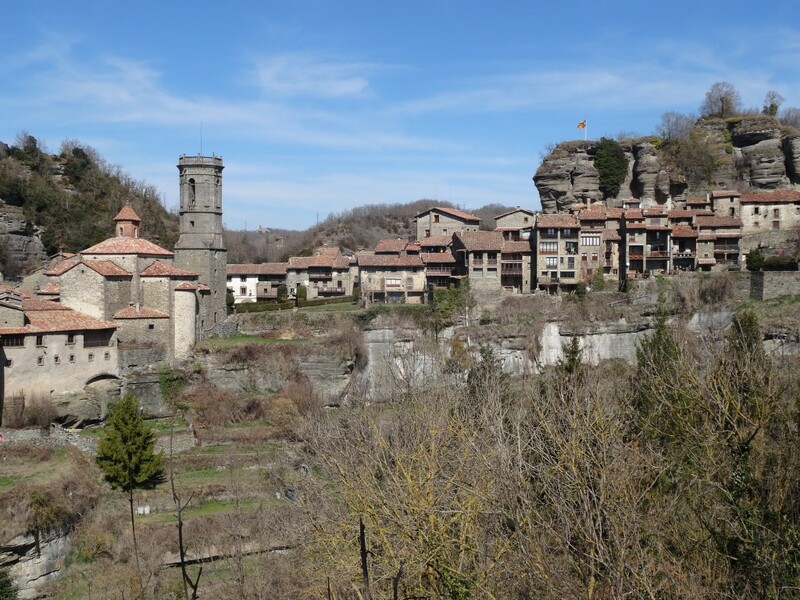 Most of the day we hiked up through trails in the countryside and had a chance to step back in time and see a different side to Catalonia. 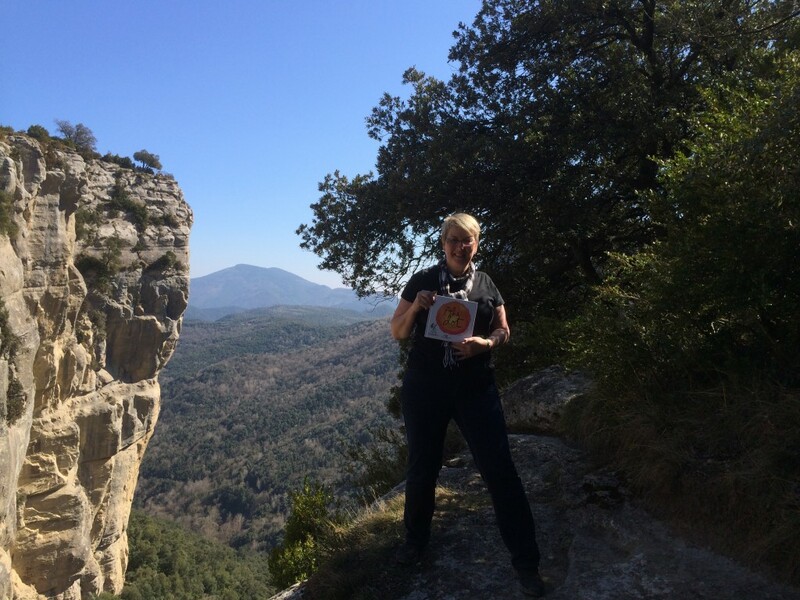 I brought The Dot with me on the hike. 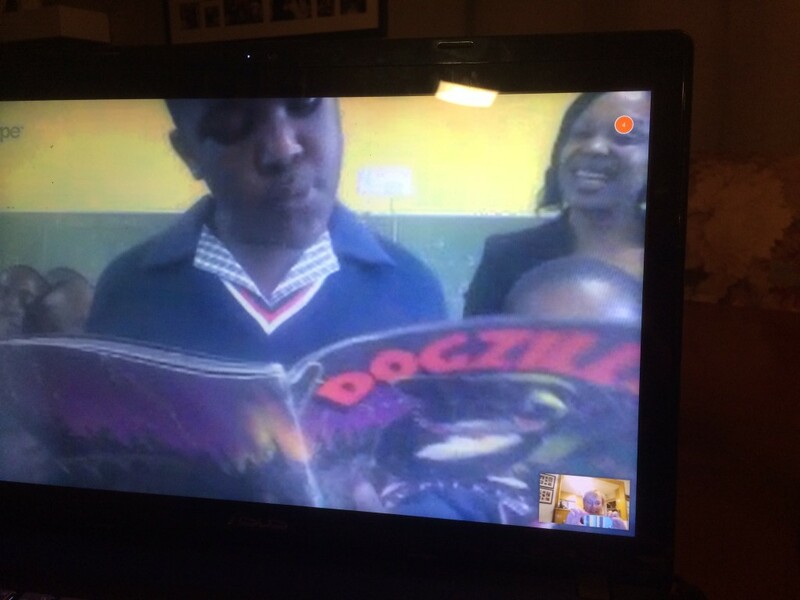 This book helped begin our Books to Africa journey, and it needed to be with me at the end too! Lastly, I know this isn’t directly student- related, but if you are a teacher reading this post, I urge you to join the Partners in Learning Network. It’s free to teachers and schools. 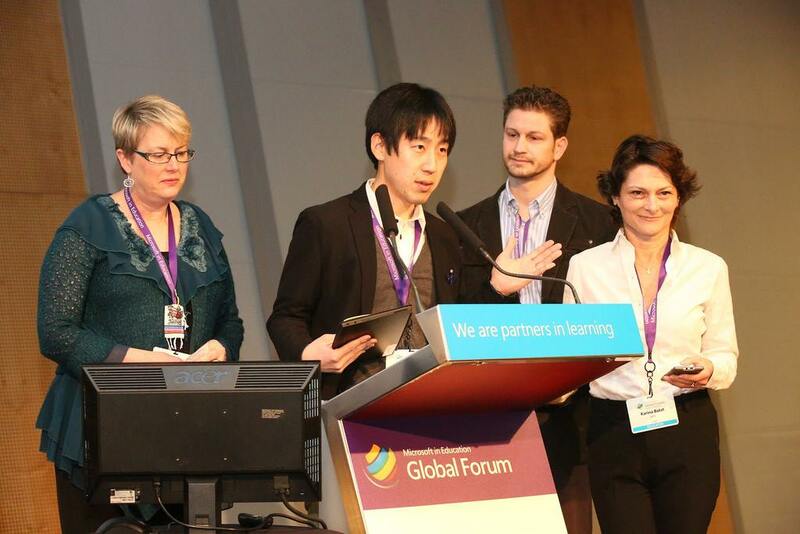 You have access to all of the global forum teacher projects, free tools, professional development, and information about 21st century learning design. 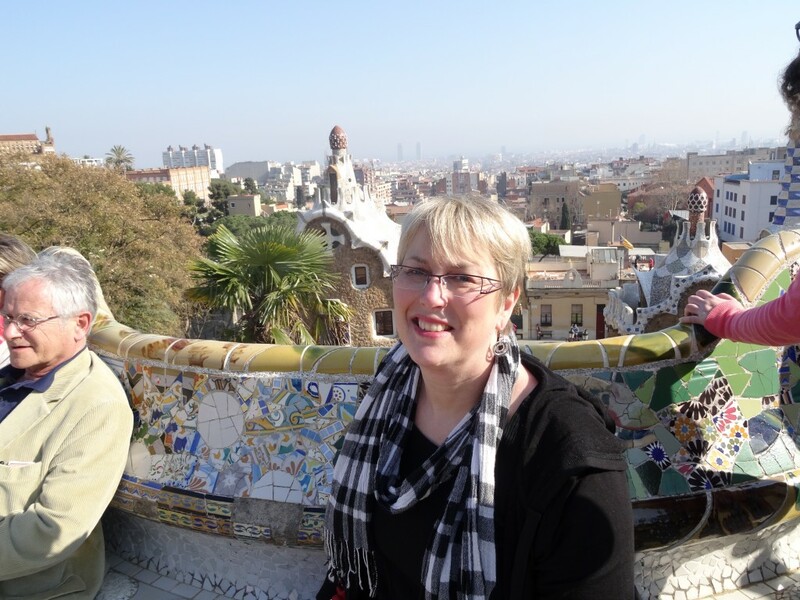 I hope you will join the network and apply for the 2015 Expert Educator program. I have had the opportunity to attend two Global Forums now, and I can whole-heartedly say the experience will change your teaching life. 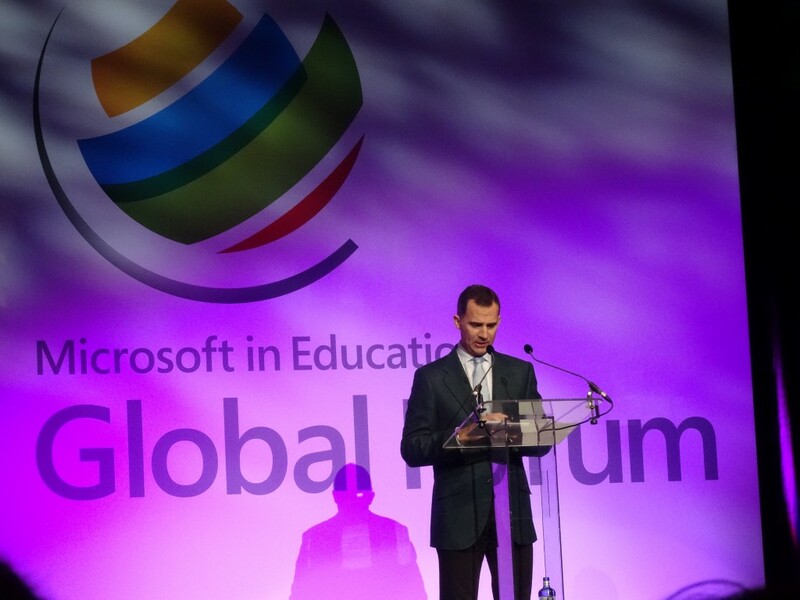 I am so grateful to Microsoft and humbled by the support of all the global educators I met. 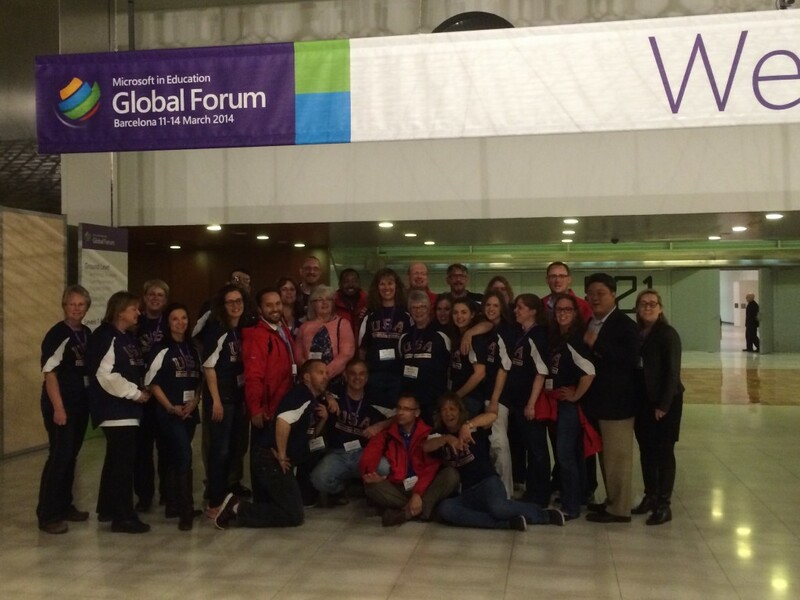 So long, Global Forum Barcelona! It was a great ride! Congratulations! 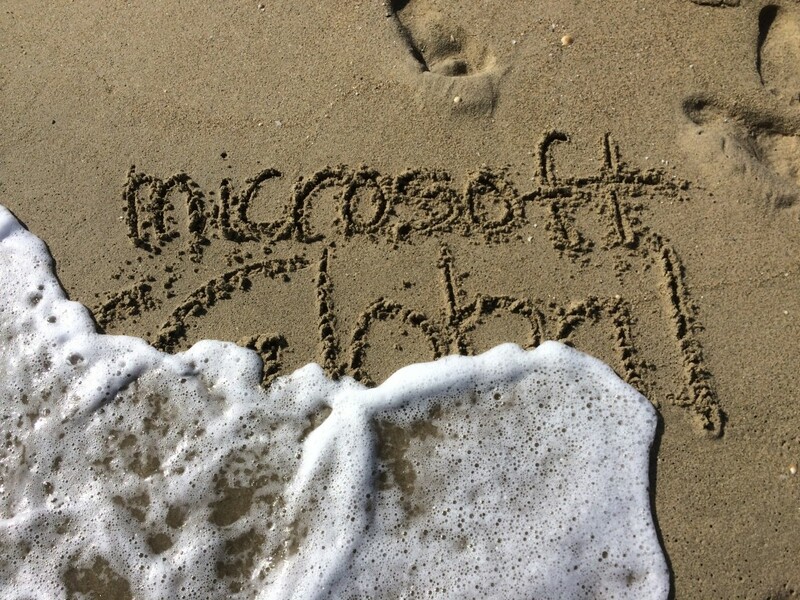 You have been selected by Microsoft to be a part of the very first class of Expert Educators! 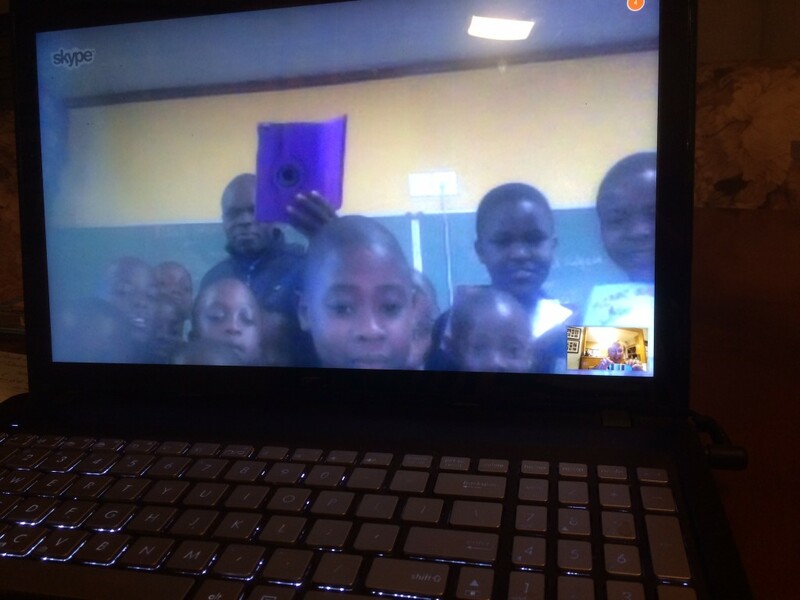 This process was very competitive – you were chosen from over 23,000 educators in over 150 countries from around the world. Your application, learning activity, and video were outstanding. We are proud to have you as a part of this incredible group of educators. 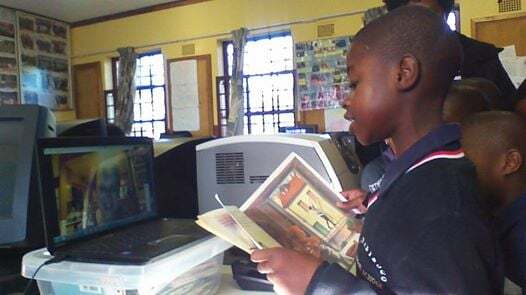 The project I submitted was our Books to Africa project where our students in grades 1-5 made various multi-media presentations about Africa to align with our literacy outreach program. 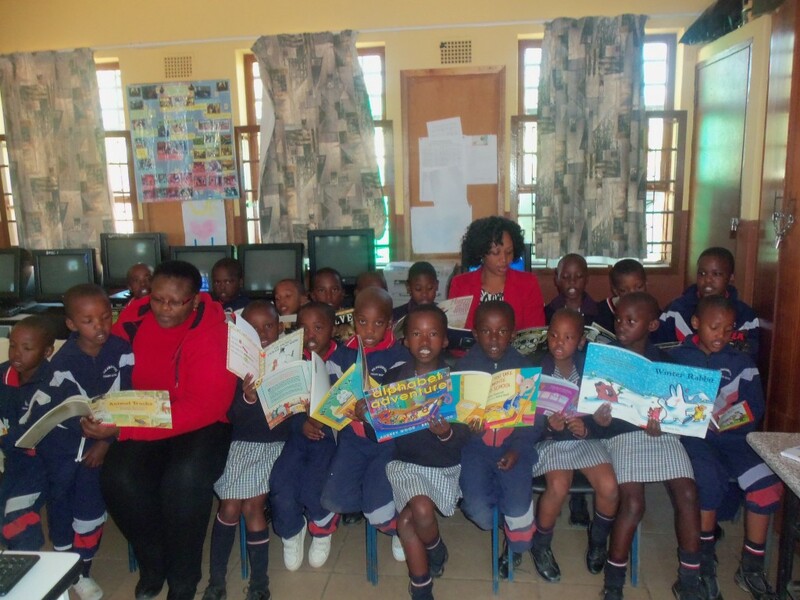 Details about the project can be found on the Books to Africa blog. 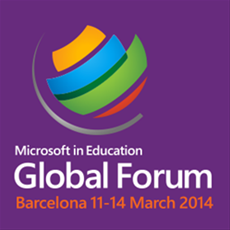 In March I will be flying from Seattle,to Barcelona to participate in the Microsoft in Education Global Forum. 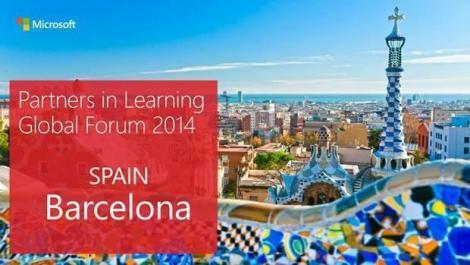 The forum is a four day series of learning workshops as well as a showcase of learning activities. 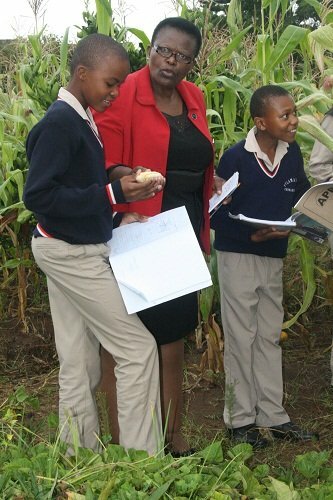 Each educator brings an example of the project he or she submitted and shares it with the other people there. It’s an unbelievable learning experience that I wish every teacher will have the opportunity to experience during their career. 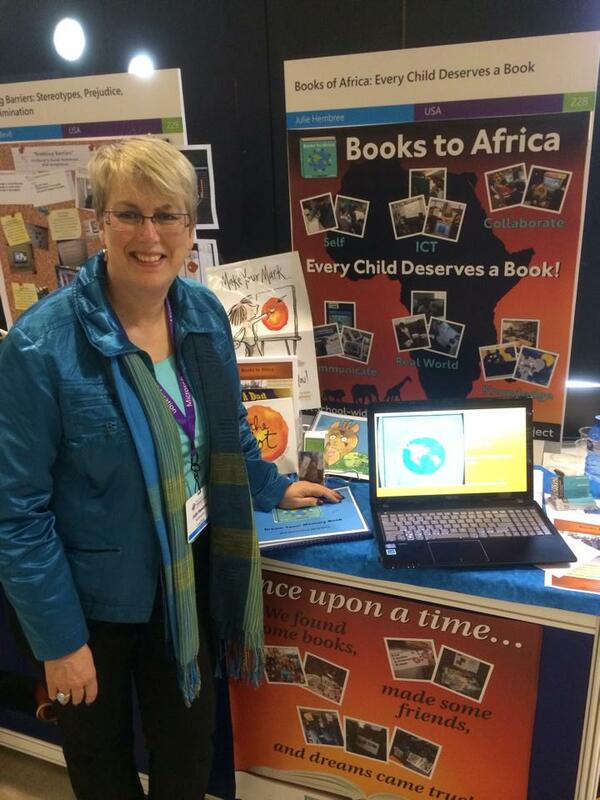 When I attended the global forum last year in Prague, I left with a suitcase of memories and teaching ideas, many of which I adapted and applied to our Books to Africa project. 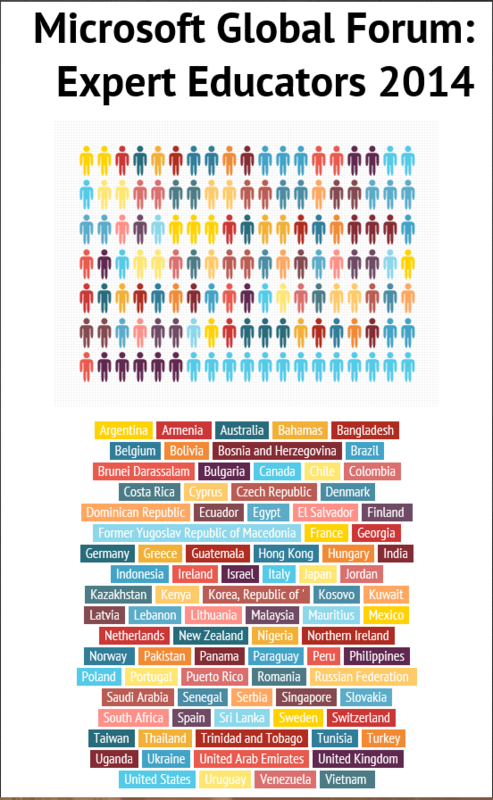 One of the teachers Jeanette Delgado from Puerto Rico made an infographic of all the Expert Educators from around the globe. She used https://infogr.am/ to illustrate the data. It’s fun and free! 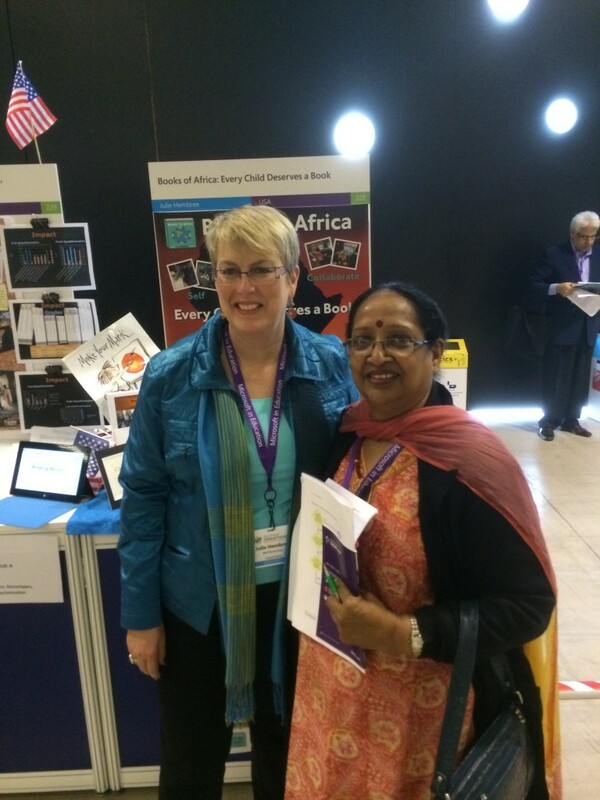 The Expert Educator program is not just about the global forum. It is a year long commitment of learning about how technology can be used to successfully in the classroom. I know I am about to embark on a journey that will be life-changing and transformative. 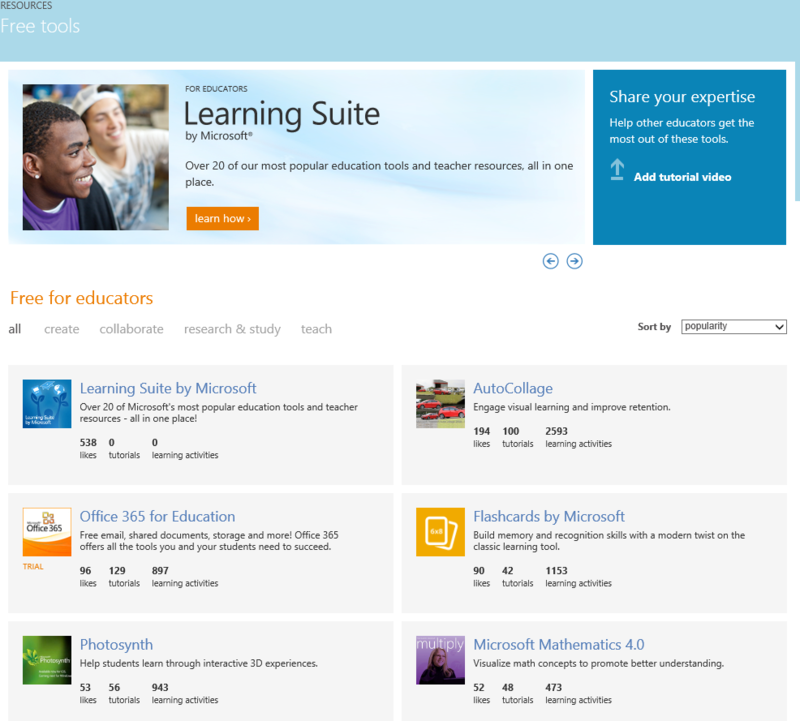 The best part of the partners in learning program is that it is free to join. Visit http://www.pil-network.com/ and sign up today! You will have access to thousands of projects submitted by teachers from around the globe, plus, tutorials, discussion boards, hot topics, resources, professional development and it’s all free! I will be documenting this experience throughout the year on this blog, so I hope my readers will check back here or on the Books to Africa blog and see what’s happening! What technology do you want to learn more about? Have you ever used Photosynth or AutoCollage?